Recently, we have focused on linguistics and language acquisition from Ruthie Wienk, and now we will jump right into the Buffalo Roundup 2016. Diversity is the name of our game. More information on this Round Up is posted at the end of this WinkWorld. I saved the best for the last. This year I did not ride. I have been to “the top of the mountain,” and just decided to leave well enough alone. Thank you to Sherry Bunting for sharing these photos; her information is also at the bottom of this WinkWorld. 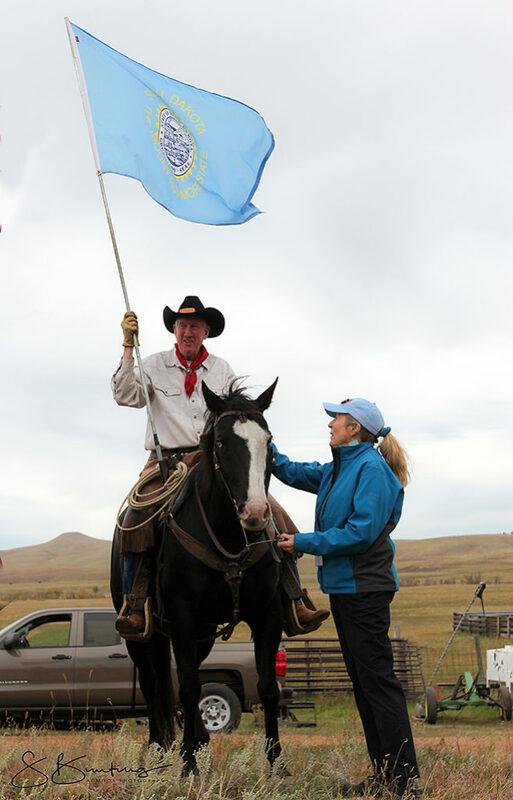 In the photo below, Wink is carrying the South Dakota flag. Pretty cool to have the Speaker ride and carry the State flag. 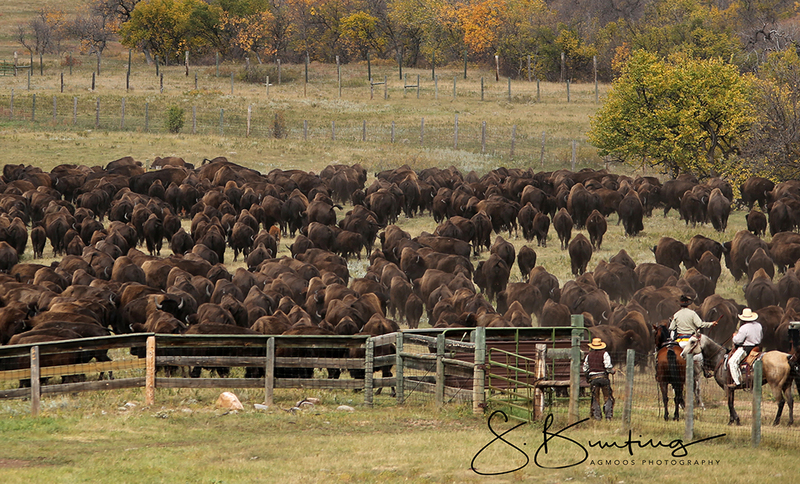 Each year 1200 to 1500 buffalo are brought into the pens for branding and their shots, and older sick animals are removed from the herd. In the photo below, you can see a few of the mounds of prairie dogs; it is very easy for a horse to step in a hole and break its leg. During my whole life, I have been taught to never run your horse in a prairie dog town. However, during the Roundup, that rule apparently does not apply. The young woman is the SD Rodeo Queen. It is thrilling to ride in the Roundup, and it is also thrilling to observe the entire panorama of action. I was thrilled that we were able to stay at Windbreak House, the home of famed SD author, Linda Hasselstrom. Windbreak House is now a very busy writing retreat. You will find it on Facebook and click here for more. Here is the Buffalo Roundup 2015 from WinkWorld. 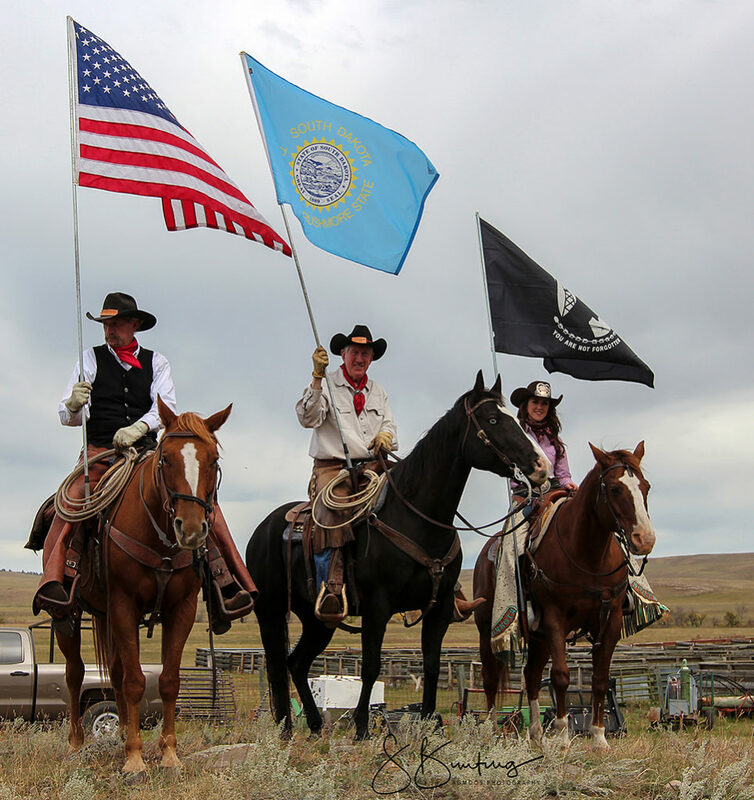 Here is Buffalo Roundup 2015 from Sherry Bunting. Agmoos.com is Sherry Bunting’s blog which focuses on rural people and places. 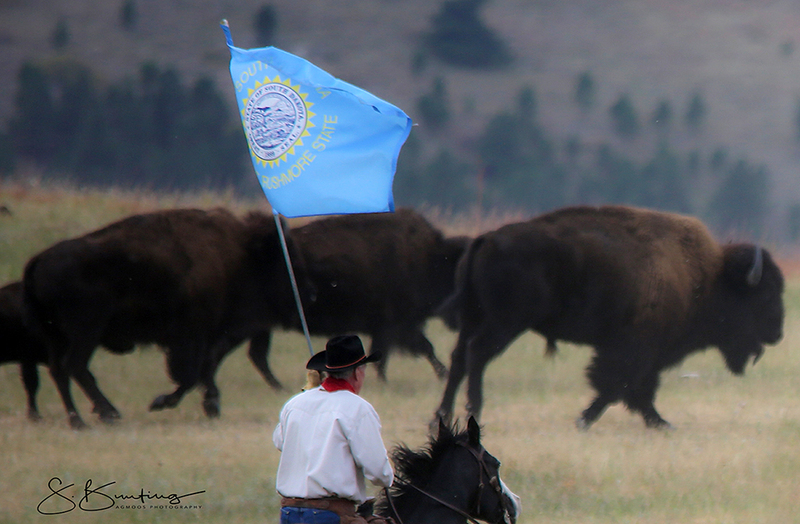 The official website of the Custer State Park Buffalo Roundup. I saved the best for last: a YouTube from the 2015 Roundup. 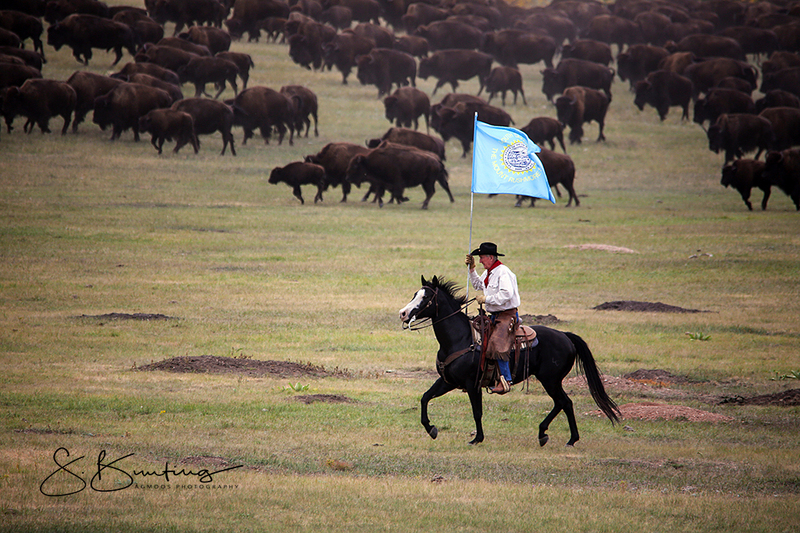 At about 10 seconds, you will see a fleeting FAST rider shooting across behind the buffalo and in front of all of the riders. That was me: I had just seen Wink, after I couldn’t keep up with him during the Roundup. I was in a hurry to get over to him so we could finish together. Some of my finest work…. Hello dear Nancie, your life is fascinating, too? Tell us one thing about your life in Pakistan? We were there and enjoyed it immensely!!! Tom and Sandy, sorry we didn’t get to see you. Yes, I find it just fascinating and thrilling. Thanks for sharing this thrilling adventure with us, Joan. You are an amazing woman!! Hey, Janet, glad you liked this story. Thank you for your kind words. 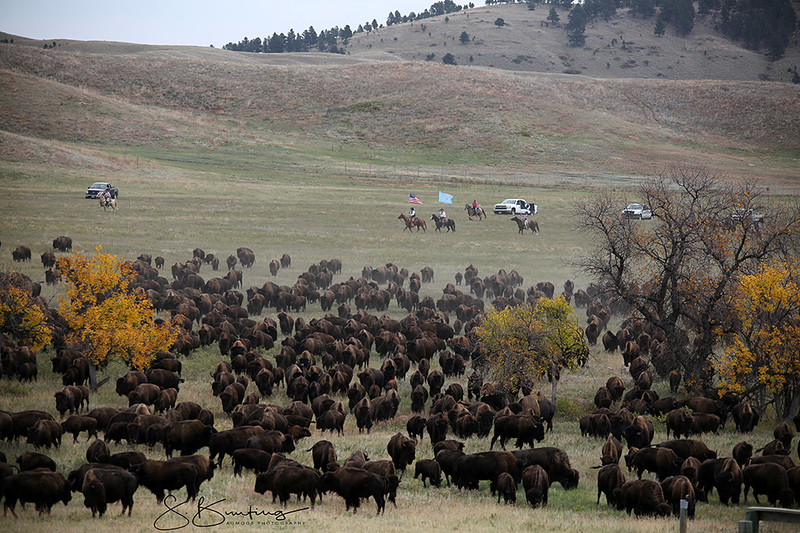 Watching all of those buffalo come roaring up the valley is absolutely amazing for me. Our first time there, and it really was special. I will not forget the sight of the buffalo beginning to come over the ridge, followed by clouds of dust promising more! And then there was the snap of the whips. Wow. Didn’t know, however, until talking to our mutual friend, Linda, yesterday, that Dean was carrying the flag! We saw him, but just didn’t know it. ;>) Sorry our paths could not have crossed while we were there. Sorry to miss you two, too. Glad you could make it. I find the whole experience absolutely amazing.